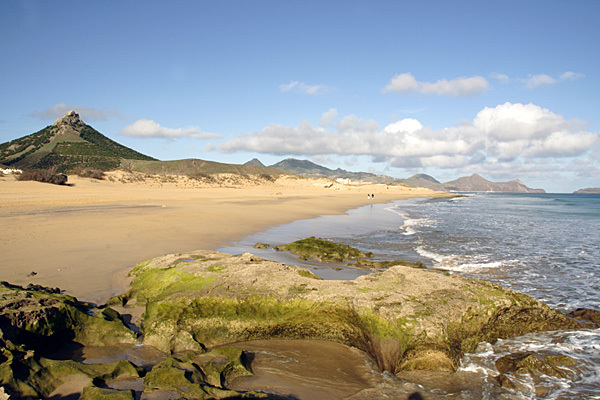 The only sandy beach of any size in the Madeira Islands is on Porto Santo. 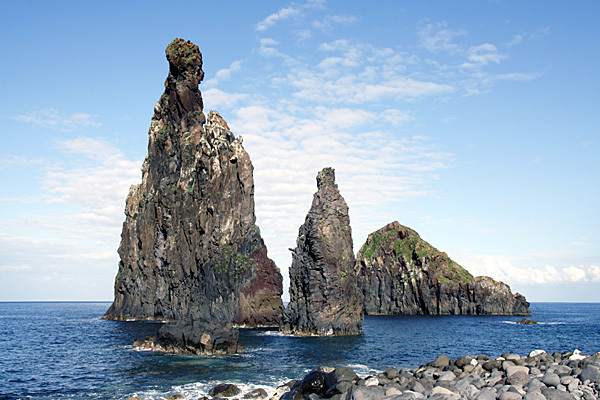 The striking stacks of the Ihéus de Ribeira de Janela on the north-west coast of Madeira. A small group of walkers follow a short trail on the remote Ilhas Desertas. On a visit to Cicerone, the author was told, "Booksellers keep asking for copies of our Madeira guidebook. We don't have a Madeira guidebook, so obviously we need one!" Madeira might seem like a small island on a map, but the terrain is exceedingly complex and its paths are quite convoluted. Two trips were needed to complete all the route research for the first edition of this guidebook. All the travelling was completed using public transport, which is remarkably cheap and effective around Madeira. 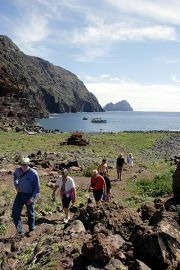 The route research trips were followed by a guided walking trip to Madeira before the book was even published. This title became the first full-colour walking guidebook to be published by Cicerone. A review in Outdoor Pursuits magazine declared "What an eye-opener this book turned out to be! Paddy Dillon opens up the country with fifty mountain, coastal and levada walks that should appeal to all ages." The guidebook has been completely overhauled twice, with all the original routes checked again, and new routes added. The mapping has also been completely overhauled to show new details. A number of walking routes have been signposted and waymarked around Madeira, and some of these are brought to the attention of walkers for the first time. The routes vary from level and easy levada walks to fearsome cliff paths, criss-crossing the mountains, forests and farming landscapes of Madeira. The nearby island of Porto Santo, ideally placed for a weekend break from Madeira, is also included, as is a cruise to the wildlife reserve of the Ilhas Desertas.